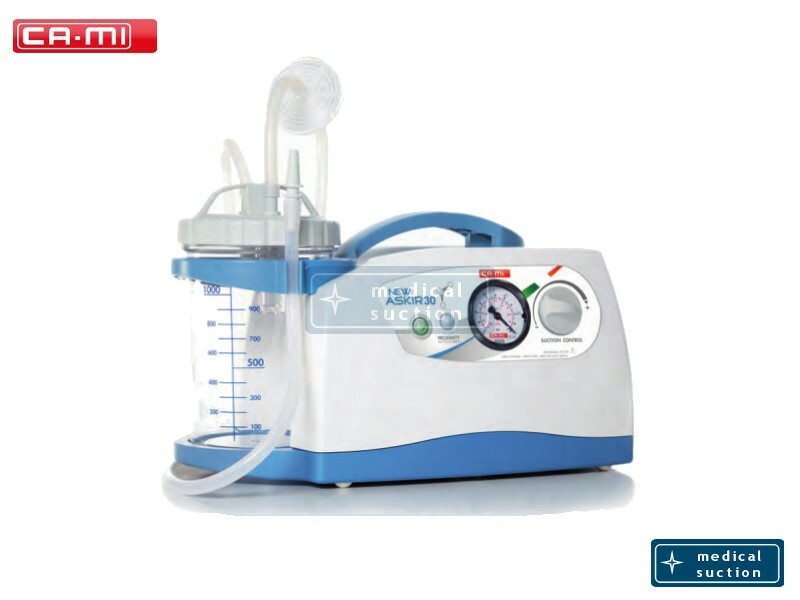 Suction Unit CAMI New Askir30 Proximity is a medical applications aspirator working on 230V ~ / 50 Hz mains power supply.and can be used for the nasal aspiration, oral aspiration, tracheal aspiration of the body liquids (mucus, catarrh or blood) both in adults and children. Thanks to this characteristics and to the rating that it has, Suction Unit CAMI New Askir30 Proximity is suitable for the tracheotomized patients, minor surgical applications and post-operative therapy at home. Designed for continuous use and equipped with vacuum regulator and vacuum indicator located on the front panel. 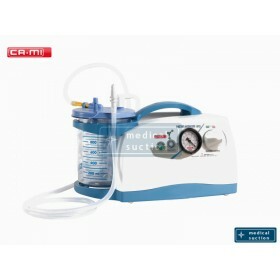 Suction Unit CAMI New Askir30 Proximity is supplied with polycarbonate reusable autoclavable jar (1L) with overflow valve. Complies with EN 60601-1-11 and carries IP21 degree of protection.